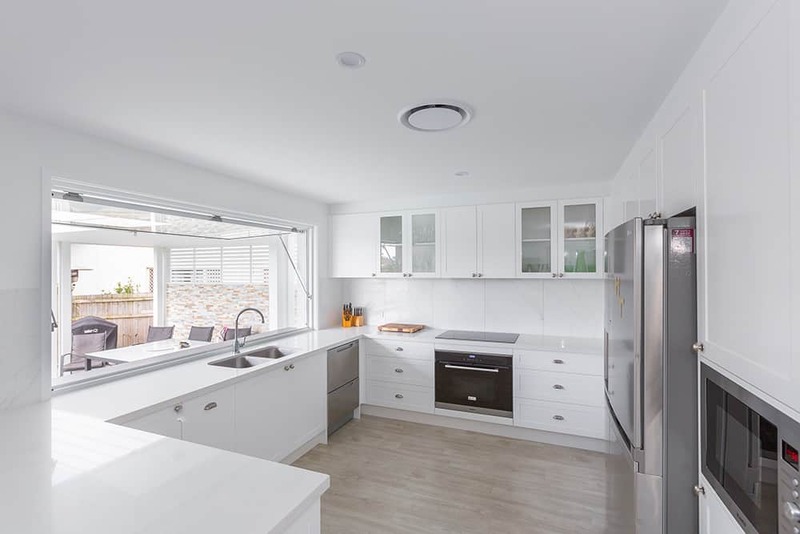 The Gas Strut Servery Window is the latest development in aluminium window technology. 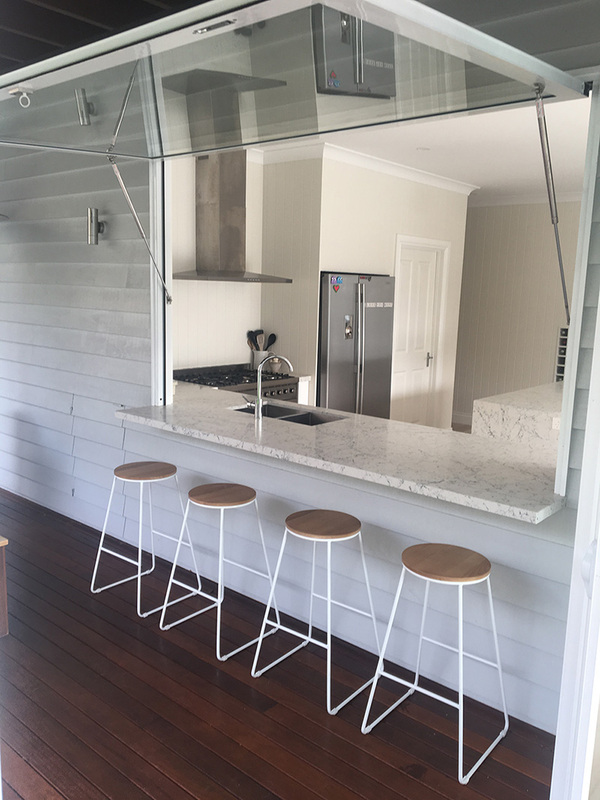 It is ideal to be used as a servery window, opening to an entertainment area. It functions in a similar way to a traditional awning window in that it is hinged at the top and pushes out, but there is something more. The introduction of the gas strut mechanism allows the window to be push out all the way to 90 degrees. The Gas Strut Servery Window provides a unique option in applications around the kitchen. They function easily, opening with a small push, the gas struts of all the work. Unlike other servery windows, the opening panel only has the outside frame, with no vertical cross members, this really maximises your view when it is in the open position. The Gas Strut Servery Window is available with or without* a sill. *Please note that there is no weather rating if the no sill option is taken.